You are currently browsing the category archive for the ‘Shows’ category. Again this year I was invited to submit two pieces to Rivet Gallery, for the Stuff This holiday show of plush works. 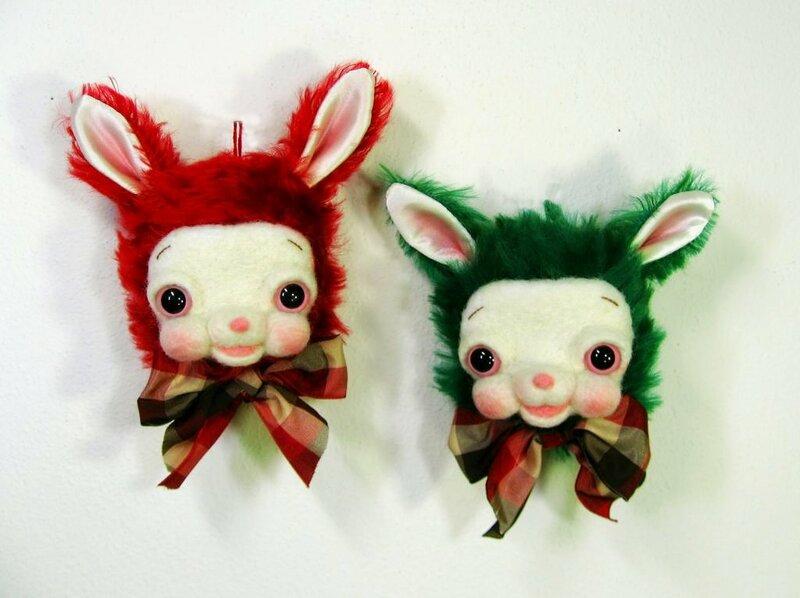 I made a pair of holiday bunny ornaments in mohair and needle felting…I kind of loved them….